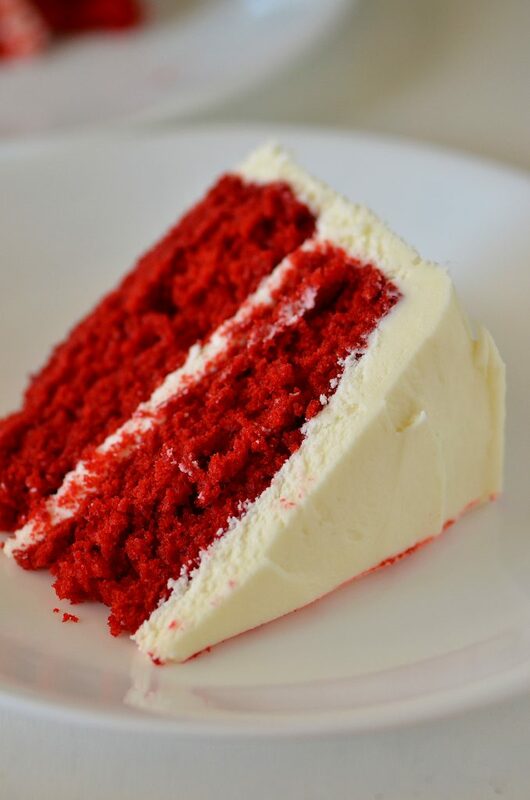 My love for Red Velvet Cake runs deep. ♥ There is something about the flavor I can’t resist, and of course the color. 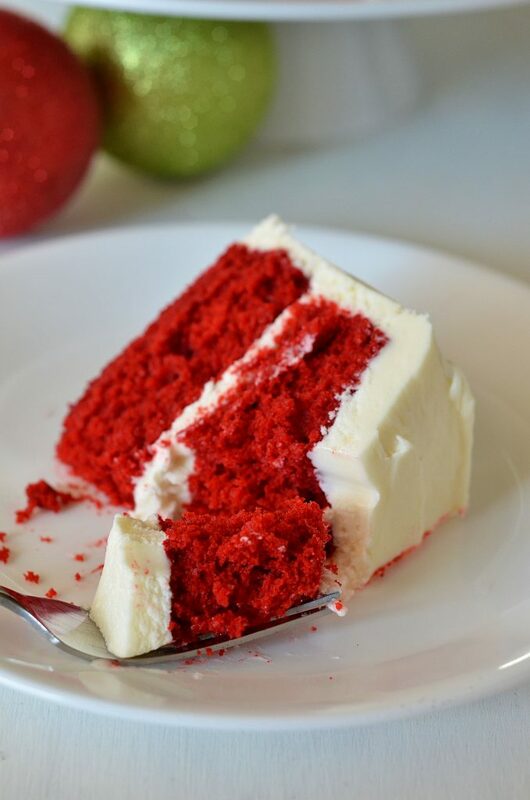 Those bright red cake layers with white creamy frosting in between. It’s literally dessert heaven, and perfect for the Christmas holiday! This Red Velvet Cake is a classic and a surprisingly very simple cake recipe. Most importantly, it tastes AMAZING. It is moist, delicious and so wonderful. I’m already on the count down to Valentine’s Day to make it again. 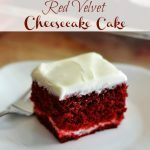 Classic red velvet cake with layers of cream cheese frosting. Preheat oven to 350° F. Grease and flour two 9-inch round cake pans. Cream together sugar and shortening. Add eggs, beat well. Sift flour, salt, baking soda & cocoa. Add alternately the buttermilk & flour mixture to the creamed mixture. Mix until just combined. Blend in vanilla and food coloring. Divide batter evenly among the two prepared cake pans. Bake 25 to 30 minutes or until tooth-picks inserted in center of cakes comes out clean. Cool cakes in pans for 10 minutes, then remove from pans and set onto cooling racks. Cool completely before frosting. Then, add powdered sugar in batches. Scrape down the sides in between each addition. 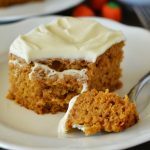 Place one cake layer onto a cake stand or large plate. Frost top with 1/3 of the frosting. Place second layer on top and frost top and all sides of cake. Serve and enjoy! Store cake covered in refrigerator for up to 3 days. I love this LIFE. You continually talk to me. Thank you. Recipe for how many cups of flour ?